You've given up carbs - don't give up decadence! 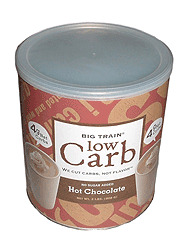 Savor every sip of Big Train's Low Carb Hot Chocolate. Buy two bulk cans of Low Carb Hot Cocoa and save even more per can.